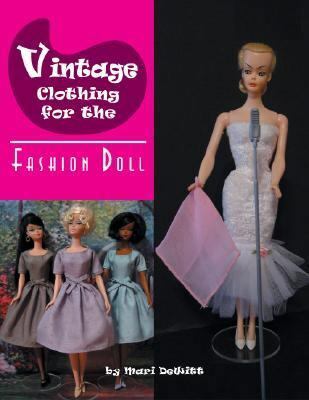 As legions of people collect vintage 11 1/2-inch fashion dolls, more and more people are looking and desiring to clothe their dolls in vintage costumes. Such original costumes can cost a fortune. Author Mari DeWitt has drafted patterns so that anyone who loves dolls, clothes, and self-expression can recreate a classic wardrobe for their 11 1/2-inch fashion dolls. This book contains 14 full-sized pattern projects to create clothes and accessories for complete vintage ensembles. The author provides and shows the reader step-by-step sewing techniques and illustrations that will enable anyone to create these classic designs.DeWitt, Mari is the author of 'Vintage Clothing for the Fashion Doll', published 0015 under ISBN 9780875886527 and ISBN 0875886523. Loading marketplace prices 2 copies from $139.40 How does the rental process work?